"The art of concentrating strength at one point, forcing a breakthrough, rolling up and securing the flanks on either side, and then penetrating like lightning deep into his rear, before the enemy has time to react is in having complete maps and knowing how to use them." 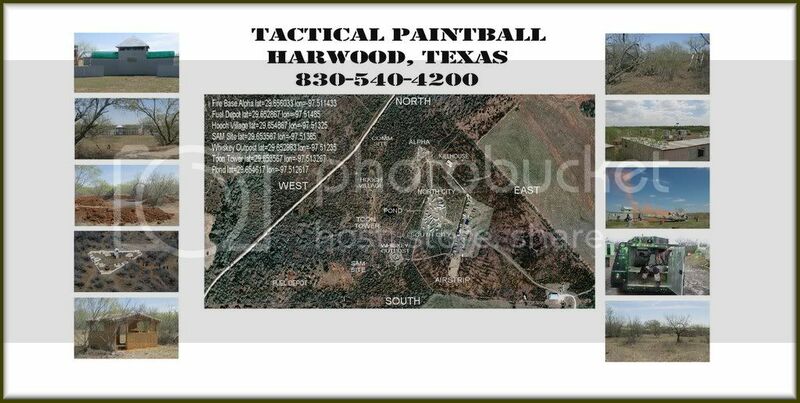 Paintball scenario games, more than ordinary field games, are ma dependent. Scenario games are most usually played on large fields where the details of the landscape cannot be seen from any one position. The goals of the game are often only found with a map, without a map its hard to understand written missions and a map is often the only means by which the final score can evaluated properly. Click on the link for detailed information of the field map. On most maps ou will find a legend in one of the lower corners that will tell you what scale the map is drawn, how to identify special objects on the map and in some cases even the topographic la of the land. In military war gaming you will encounter a more complex set of symbos used to mark many things in the game including unit placement, size, and type. These symbols are same used by most modern military forces today witha few minor modifications which specifially apply to paintball. Other symbols may be used that unique game. Those symbols should be eplained in the map legend. If you are fortunate enough to get a topographical map of the play field you will, find that it will be helpful understanding the full scope and use of the play field. You may also want to learn to add this kind of detail on low quality maps. You will find that having this type of map will save your team from troubles in the fame cause by cliffs, streams and deep creak beds.